At PDAC, Jon Hykawy of Stormcrow Capital provided a brief overview of the critical materials involved in the lithium-ion battery supply chain. At this year’s Prospectors & Developers Association of Canada conference (PDAC), Jon Hykawy of Stormcrow Capital provided a brief overview of the critical materials involved in the lithium-ion battery supply chain. During his talk, he covered everything from the basics of how lithium batteries work to the different types of lithium-ion batteries, to how growing battery demand is affecting the outlooks for various metals. Certainly, the overall theme of the talk fell in line with what investors have been hearing lately. Demand for lithium-ion batteries is growing quickly, and so is demand for the lithium (and other critical metals) used to make them. However, Hykawy provided a bit more background for that argument, suggesting that lithium supply and demand will only remain balanced under ideal conditions. Here are a few highlights of what he had to say. Give me my free report! Lithium demand is currently sitting at about 200,000 tonnes, and Hykawy estimates that if current suppliers were producing at 100 percent of their capacity, supply would stand at roughly 231,000 tonnes. That situation is exclusive to China, but prices have certainly risen markedly for the rest of the world as well as of late. “There should be some concern about potential lithium supply,” he said. Of course, whether or not lithium producers will be able to keep up with demand is a key question for those interested in the market. But that can be difficult to predict, since, like other mining companies, lithium producers can be overly optimistic about their projections. Albemarle (NYSE:ALB); “We’re assuming that Albemarle is going to make good on their recent MOU announcement with the government of Chile and that they’re going to ramp that over the course of about a year once they have brine flowing into that part of the project,” Hykawy noted. Orocobre (TSX:ORL); Though a number of other analysts remain hesitant about Orocobre’s progress, Hykawy was positive. “We’re assuming that Orocobre is going to ramp up successfully,” he said. Galaxy Resources (ASX:GXY); “We’ve got Galaxy built in because we think their project is a solid one and will eventually produce,” Hykawy stated. POSCO (NYSE:PKX); “We’ve got some production from Western Lithium (TSX:WLC)/POSCO/Argentina, because that’s probably the most concise way to describe that POSCO has stated goals for their lithium production globally with their process … if they’re right, they’re going to play a very significant role in future lithium production,” noted Hykawy. If all of those projections come to fruition, then the market should be in a “perfect supply balance” through 2025. Finally, Hykawy briefly touched on some of Stormcrow’s pricing predictions for lithium. For lithium hydroxide, Hykawy stated that “a $7,000, $8,000 price outside of China is not insane at this point,” and that prices could hit $15,000 per tonne moving towards 2025. And, as mentioned above, there were contracts for the material floating around at Battery Japan priced in excess of $20,000 to $30,000. In any case, Hykawy’s presentation reaffirmed what many lithium market watchers already know: the world is going to need a lot more lithium to meet its growing energy needs. Securities Disclosure: I, Teresa Matich, hold no direct investment interest in any company mentioned in this article. Editorial Disclosure: Galaxy Resources and Nemaska Lithium are clients of the Investing News Network. This article is not paid-for content. 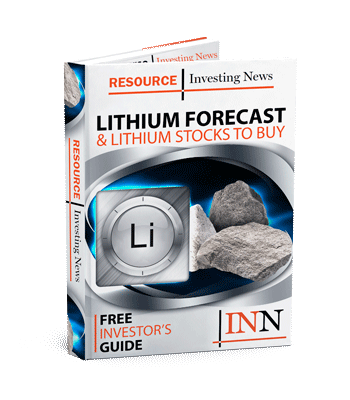 Get the latest information about companies associated with Lithium Investing Delivered directly to your inbox. We have limited the number of investor kits you can request to 20. Please remember that by requesting an investor kit, you are giving permission for those companies to contact you using whatever contact information you provide. If you want more than 20 investor kits, you need to make multiple requests. Select 20, complete the request and then select again. By selecting company or companies above, you are giving consent to receive communication from those companies using the contact information you provide. And remember you can unsubscribe at any time. This brought analysis does not include assessment of the impact of new extraction technologies that will have a big impact on processing cost and price reductions not to mention supply provisions. Where is the contextual analysis of this most important variable. Some indications? This must be an error. Copyright 2019 © Dig Media Inc.